Our spy, 'Deckard' fears no REPRISAL (starring Frank Grillo & Bruce Willis)! I saw the year’s best comedy tonight in the new V.O.D. release ‘REPRISAL’ starring Frank Grillo (WARRIOR) and Bruce Willis (UNBREAKABLE) as two of the most despicable heroes you’re likely to encounter this year. 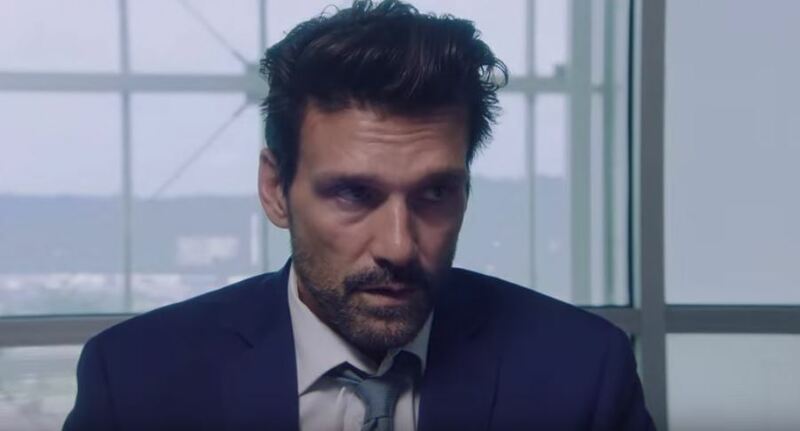 Frank Grillo plays a former Calvin Klein model who now works at a bank that gets robbed by veteran actor Jonathan Schaech (LEGENDS OF TOMORROW) whom has apparently been taking the finest steroids in preparation for this role. Schaech gets away from the heist clean after Grillo folds like a tinfoil unicorn. Overcome by remorse for his cowardice and put on leave for his suspected complicity in the heist, Grillo goes into an alcoholic tailspin, marked by sexual impotence and saying all of his lines like a personal trainer telling you to give him ten more you know you can do it. 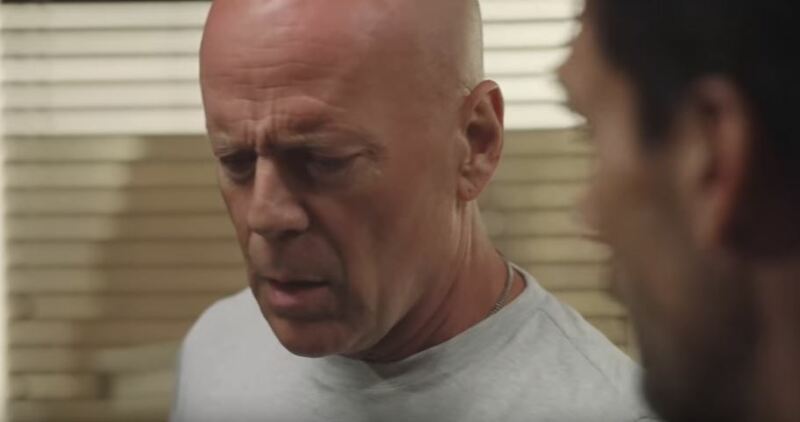 In his stupor he finds shelter in the arms of his beer-swilling, ex-cop neighbor Bruce Willis who works up a surprising amount of chemistry and charm for an actor heavily dosed with oxycontin. Willis helps Grillo unearth his repressed memories of the heist’s detail, and if I have one complaint about an obviously spectacular film, it’s that the repeated, confusing in the moment, shots of details of the heist that felt bizarrely like flashbacks but were shown during the actual heist might have been put to better use as flashback shots during this sequence, but perhaps this was too obvious a choice. From here the film is kind of a ‘HOW GRILLO GOT HIS GROOVE BACK’ movie of the two men solving the identity, whereabouts, and next target of the heister so that Grillo might get his job back and a 175,000 dollar reward. Now, I feel there must be a deleted scene here or something I missed explaining why Grillo or ex-cop Willis can not give any of this information to current cops, but I’m sure they have their reasons, maybe it the idea is that the beer and vodka (though without product placement and given Grillo’s physique he may have been getting wasted on water this whole time) are doing the thinking or are at least the men’s copilots. This has riotous consequences as their decision to withhold their information results in several deaths and injuries of innocent people throughout the picture and the kidnapping of Grillo’s wife and child. REPRISAL is available now on VOD.